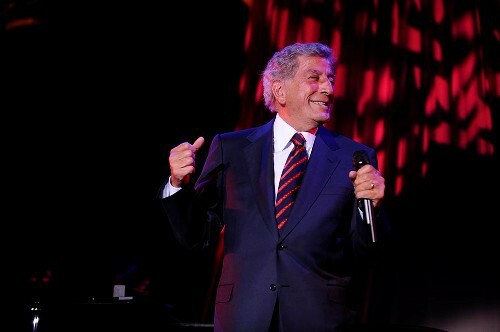 The legendary Tony Bennett returns for his tenth visit to Birmingham's Symphony Hall on July 3, 2017, as part of a string of live performances in the UK to celebrate his 90th year. Since his first visit in 1996, 19-time Grammy Award-winning Tony has performed to over 17,000 fans in Symphony Hall and he can't wait to come back. 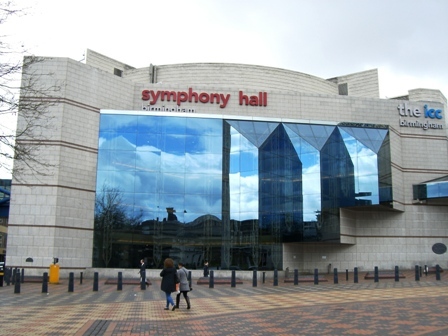 "The audiences in Birmingham are exceptionally warm and welcoming and they are so fortunate to have this beautiful Symphony Hall right in their home town… one of my favourite places to perform," he says. Symphony Hall staff have a surprise arranged for the evergreen singer. 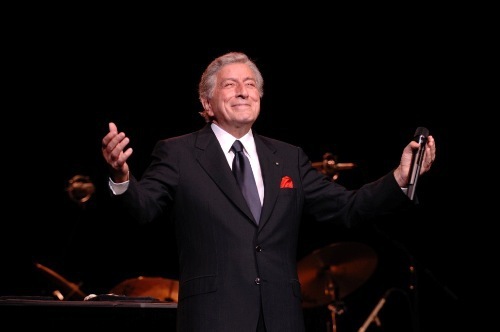 In recognition of his tenth performance at the venue Tony will be presented with a plaque for seat T10 on the night of his show, with the engraving 'Marking Tony Bennett's 10th Show at Symphony Hall'. He will be the first visiting artist to be recognised in this way. Tony will also be given a framed photograph of the hall as a gift to celebrate his 90th birthday. The tour will showcase Tony's greatest hits, including The Best Is Yet to Come, How Do You Keep the Music Playing, I Got Rhythm, The Shadow of Your Smile and the multi-award winning fan favourite, I Left My Heart In San Francisco. He will be joined once again by jazz masters Gray Sargent (guitar), Marshall Wood (bass), Billy Stritch (piano) and Harold Jones (drums). The singer had his first number one US hit, Because Of You, in 1951, which remained at the top of the charts for 10 weeks and went on to win his first Grammy Award in 1962. He was signed to Columbia Records then, and he's still signed with them today. In a glittering 67-year career he has performed alongside some of the greatest artists of all time, including Count Basie, Ella Fitzgerald, Duke Ellington, Barbra Streisand, Aretha Franklin, Paul McCartney and Elton John. More recent collaborations have included Lady Gaga and the last ever recording with Amy Winehouse in London's Abbey Road Studios. He has performed to 11 US Presidents, brought the house down at Glastonbury and the iTunes Festival and has performed to four generations of the Royal Family, including an unforgettable performance at Buckingham Palace to celebrate the Queen's Golden Jubilee. Tony has sold millions of records worldwide and continues to play to sold-out houses throughout the US. July 5: Bridgewater Hall, Manchester.